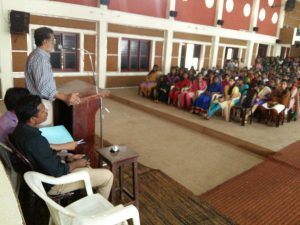 The College Union Elections (2016-17) was held on 09 December, 2016. The College Union is the students’ body which is constituted as per University regulations. 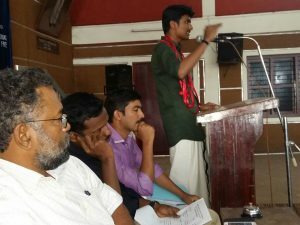 The Union is lead by an elected body of students to various posts. Parliamentary system of election is followed for the election of representatives. College Union elections were notified as per University schedule in the college notice board. 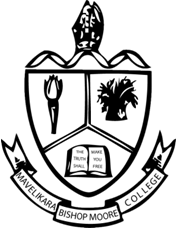 Nominations are filed before the Returning Officer for the college union election appointed by the Principal. The election was through secret ballot system. 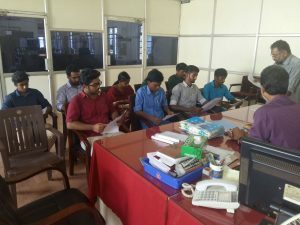 The class representatives elected were Mr. Yedukrishnan C.S., S1 BA English (1st year Degree), Mr. Narayan Babu, S3 BCom CA (2nd year Degree), Mr. Aslam N.N., S5 BA English (3rd year Degree) , Mr. Arjun V,S1 MSc Chemistry (1st year PG) and Ms. Abhirami S. Prakash, S3 MA English (2nd year PG). 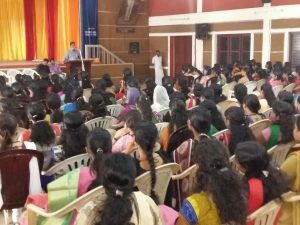 The inauguration of the College Union 2016-17 and Arts Club was held on 6 January,2017 in the College auditorium at 10.30 am. Shri. 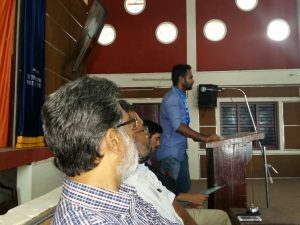 K. Raghavan inaugurated the College Union and renowned poet Shri. 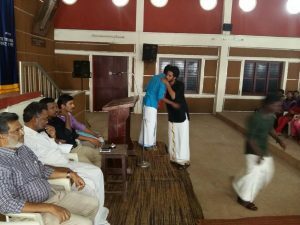 Kureeppuzha Sreekumar inaugurated the Arts Club in the meeting presided over by Mr. John Thomas, the Union Chairman. 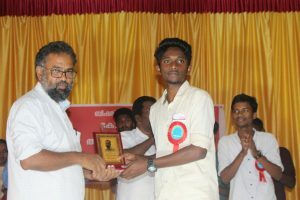 Dr. Sabu George (Principal), Prof.V. 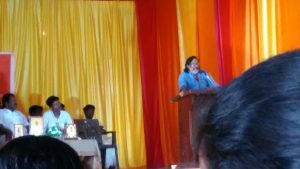 I. Johnson (Staff Advisor), Prof. Dipu Joseph (Arts Club Convener) offered felicitations. 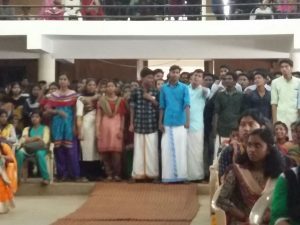 Mr. Alen P. Mohandas (Union General Secretary) welcomed the gathering and Ms. Aparna S. (Union Vice-Chairperson) proposed the vote of thanks. Following the inaugural ceremony, cultural pogramme "Thudithaalam" was performed by students.